It seems like an absolute age since I communicated with you; probably because it is! You may also have noticed that I’ve deleted several of this blog’s pages and I’m not displaying my books and CDs anymore. Well, I’m going through a bit of a transition at the moment; sort of reinventing myself, although there doesn’t seem to have been much reinventing taking place. I’ve unpublished all my books and CDs because they somehow don’t seem to be who I am anymore. For sure, there will be more writing in the future, but only when the new me emerges from the obscuring clouds and I have something fresh to write about. It was important for me to communicate with you today because I really appreciate the following and don’t like to have huge gaps between posts. I suppose I should also give you a little bit of an update. Question: Do the following exist? Angels, Krishna, trance mediumship, cheese sandwiches, spirit guides, Jesus Christ, physical mediumship, Buddha, life after death, clairvoyance, the spirit world, reincarnation, fish and chips, the afterlife, aliens and…my socks. Answer: Yes; but only when the ego falsely identifies with the body. Spirit Guides; Just Who Are You????? This is another one of those articles that sets out to educate in a simplistic way and explode a few myths at the same time. First of all, and contrary to popular opinion, the astral planes are not full of souls running around dressed as Red Indians, Egyptians, monks and oriental gentlemen etc. The truth is that spirit guides will project these images because they know, that in our human state, we want “boxes ticked”, and our logical minds demand tangibility. I shall clarify this more as we go along. Spirit guides most certainly do exist; we all have them whether we like it or not. But they do not exist in the way that many believe they do. It’s true to say that we all have a certain number of highly evolved souls and celestial beings who watch over us. But by and large the guides who work with us on a day-to-day basis are pretty much at the same level as us, or in some cases, not as evolved. The only advantage that they have is, that being discarnate, they have a view of the bigger picture and are able to help us in ways that are conducive to our long-term spiritual growth. They are usually spirit/soul family members who have known us for eons. They will be souls that we have encountered many times before, both in this world and beyond, and the work they do for us is also beneficial to them because it is a form of service that enhances their own spiritual growth. Quite often they will take on the form of Native American Indians or some other culture generally associated with high levels of spiritual wisdom. 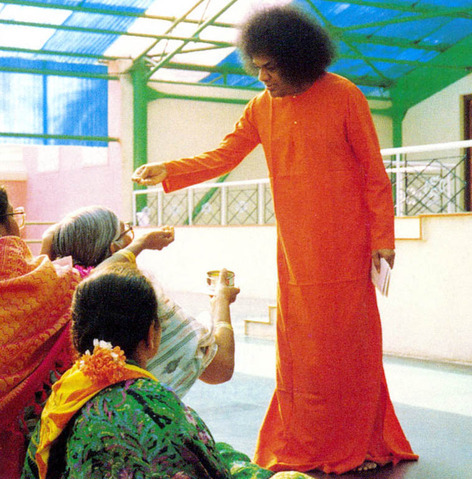 Of course, it goes without saying that in some cases these souls may have indeed embraced that particular culture during an incarnation into flesh, but the main reason for projecting the form is so that the person being guided has something on which to focus. We also have what are called “helpers” who are generally departed souls whom we have known in this lifetime (those I affectionately refer to as “Auntie Doris” and “Uncle Charlie”). Your average person attending a spiritualist church does not have a great understanding of spirituality and desperately needs to know that the likes of “Auntie Doris” is right there helping them to unload their burdens. Helpers can also be other members of our soul families who simply want to do their bit to help us along. The guides and the helpers are generally supervised by souls who are more evolved. I remember some years back whilst I was still sitting in a development group in Gloucester. I had a portrait of a guide painted for me by a psychic artist. I didn’t recognize the guide, but he was in the form of a monk with his cowl up over his head; with big eyes and a soft, kind face. Some other members of the development group also had portraits of guides painted by the same artist, and this particular evening we brought our portraits with us and meditated on them. Group members said that mine looked like a Tibetan Monk and some days later I was at home meditating when the guide appeared. I asked “are you Tibetan?”, and the answer I received was “why? Do you want me to be?”. That just about sums up what I was saying before. The guide was telling me that he would project any form I wished; it was just a form. In the early days I was just like most people. The first guides I knew of were Great Chief White Feathers; who apparently was from the Blackfoot tribe and an Egyptian who flatly refused to give a name but informed me I could call him Abdulla if I really had to. In time I learned that those two fantastic souls who helped me through some dark times were not the highly evolved beings I thought they were. They were simply loving souls who knew me and were doing their best to help me. These days I am simply aware of energies around me. Those energies have intelligence and they are able to project any form they want to. I very, very rarely see “form” these days when it comes to guides, because they know that I now understand that pure spirit is formless; it simply IS. I know and trust those energies and feel them around me constantly, form is irrelevant and not necessary once you reach a certain understanding. To finish I will just say this. The greatest guide any of us could ever have is our inner guide; the light of love; the God that resides within our hearts.